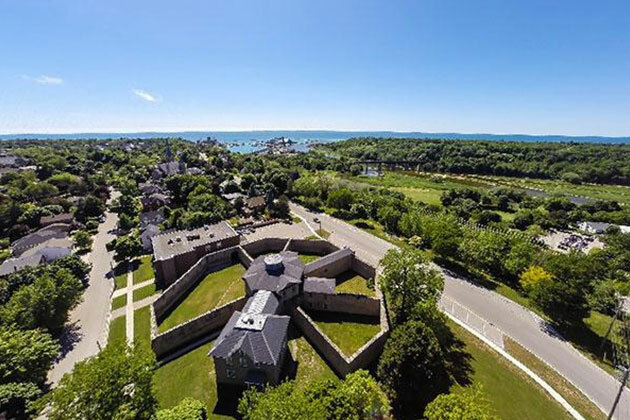 Experience all that Goderich has to offer from first class attractions, festivals throughout the year, National and Provincial Historic Sites, Museums, Art Galleries, top rated sports and recreational facilities, excellent shopping throughout town and much more. Goderich's three beautiful beaches are a must-see. With free parking, picnic shelters, playgrounds, and public washrooms these beaches are the perfect location for a day trip. With a boardwalk stretching 1.5 kilometers along the beachfront, you can be sure to catch our famous sunsets from every angle. Free admission. 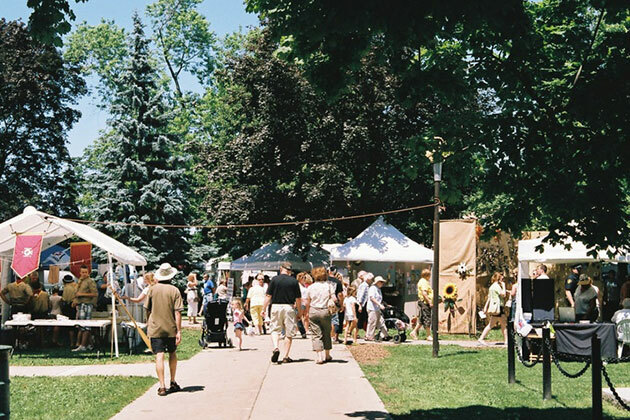 Goderich is home to a long list of annual festivals and events that draw thousands of visitors to the community each year. Watch us come alive every season of the year through our culturally diverse festivals, with everything from the Celtic Roots Festival to the Bluesfest. There is truly an event to suit every taste in Goderich. With Goderich being home to so many historic buildings, we now offer four self-guided heritage walking tours. Each tour is approximately an hour in length, and will allow you to discover the architectural and social history of this beautiful town. The location of the last public hanging in Canada, this unique octagonal building served as the Huron County Jail from its opening in 1842 until its closing in 1972 and is now a National Historic Site. 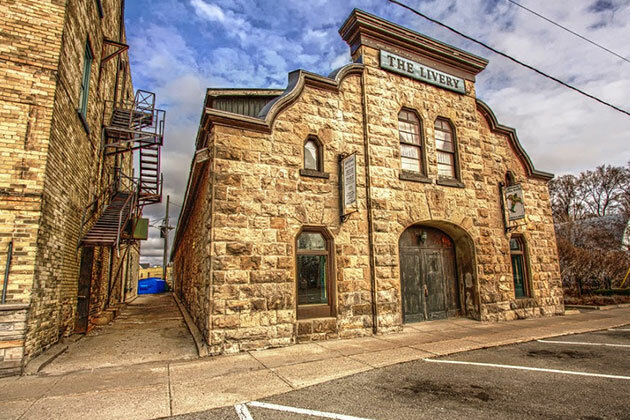 The Huron Historic Gaol is open to the public for tours daily. 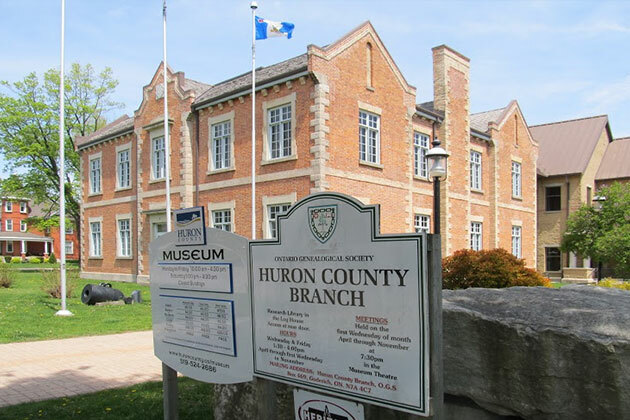 The Huron County Museum located at 110 North Street - is a first class community museum offering both permanent and seasonal exhibition galleries. The permanent exhibits depict the early settlement and development of Huron County. The Huron County Museum also houses the County archives. 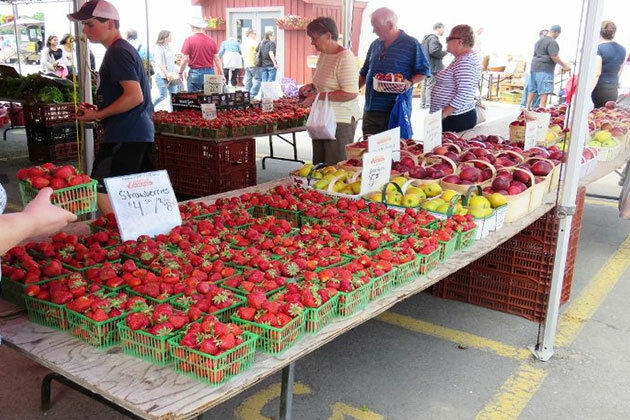 Goderich Farmers' Market: You can find locally grown fruits and vegetables, honey, maple syrup, plants, baked goods, home-made preserves and so much more. Every Saturday, Victoria Day to Thanksgiving, 8:00 a.m. to 1:00 p.m. Courthouse Square. 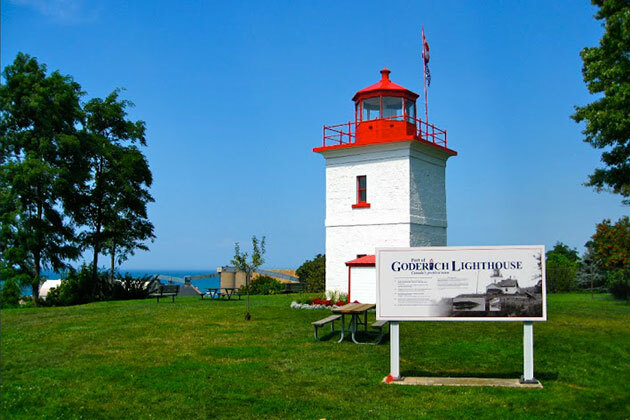 The Goderich Flea Market: Selling antiques, crafts, tools, plants, baked goods, collectables and much more. Every Sunday, Victoria Day to Thanksgiving, 9:00am - 3:00pm. 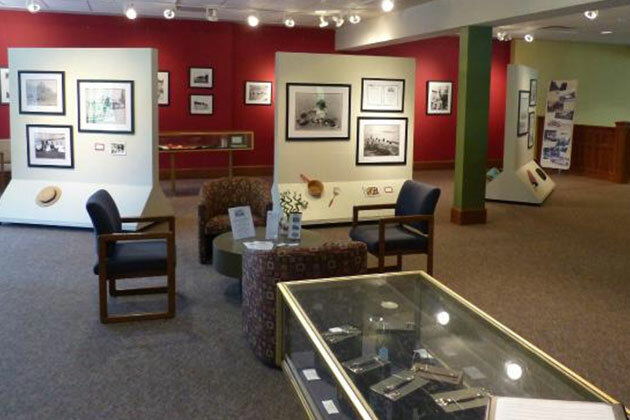 The Reuben R. Sallows Gallery located in the mezzanine of the Goderich Public Library at 52 Montreal Street. The permanent collection features the work of this renowned photographer from Goderich who travelled extensively throughout Canada during the early 20th century. See exquisite works from his entire 60 year career. Wheelchair accessible. 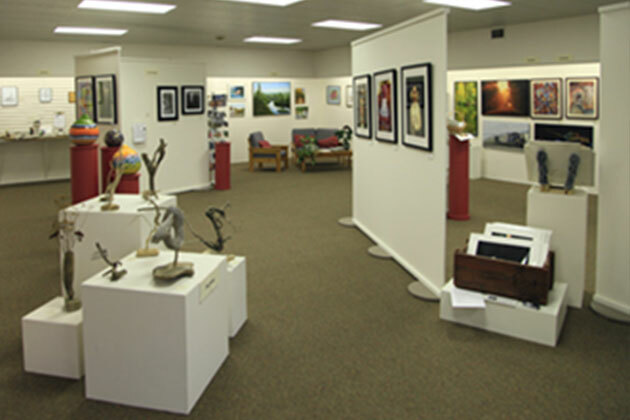 Come enjoy the work of talented local artists portrayed in a number of medias including oils, acrylics, photography, wood carving, pottery and more. Experience beautiful landscapes and flowers as well as unique pieces typical to the lake and rural community. There is always a member of the gallery on-site to answer questions. Located at 54 Courthouse Square. 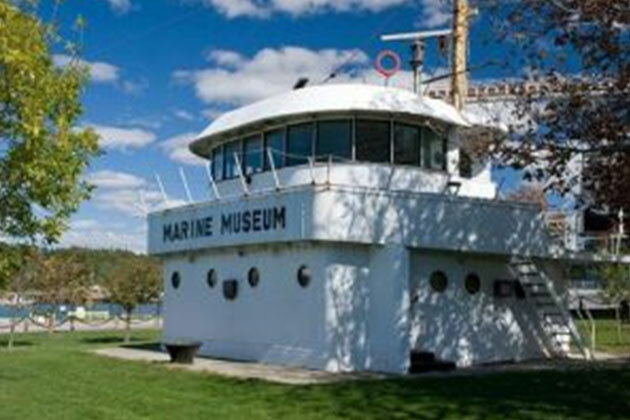 Located in the wheel house of the "SS Shelter Bay," this small museum is dedicated to the men and women who made their living on Lake Huron. The Great Storm of 1913 is highlighted. 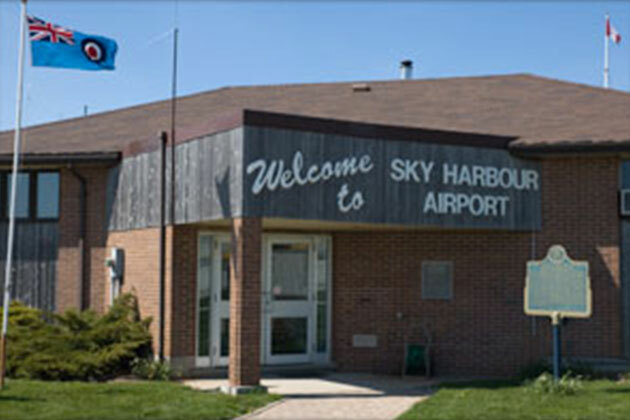 The Sky Harbour Gallery traces the history of the airport from its founding in 1938 to the present day. Particular emphasis has been placed on the important role played by the airport during the Second World War as Elementary Flying School No. 12. Formerly built as the C.P.R. railway bridge in 1907, it was the longest railway bridge in Ontario at the time of its construction. 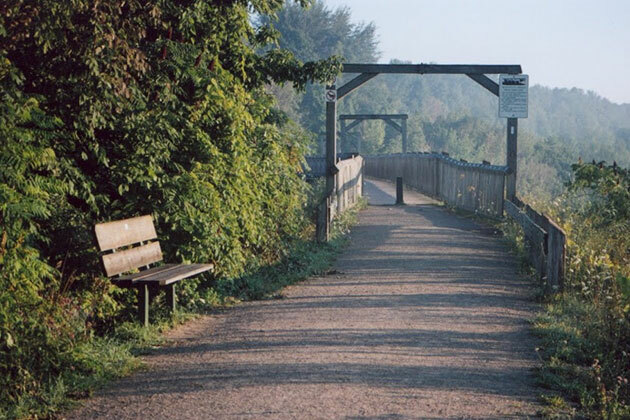 The rail line between Guelph and Goderich was abandoned in 1989 and converted to a walking trail in 1992. 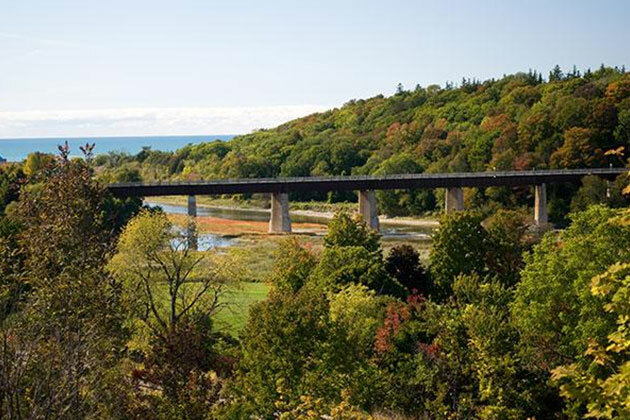 The bridge offers fantastic and unique views of the Goderich Harbour, Lake Huron and the Maitland River Flats. 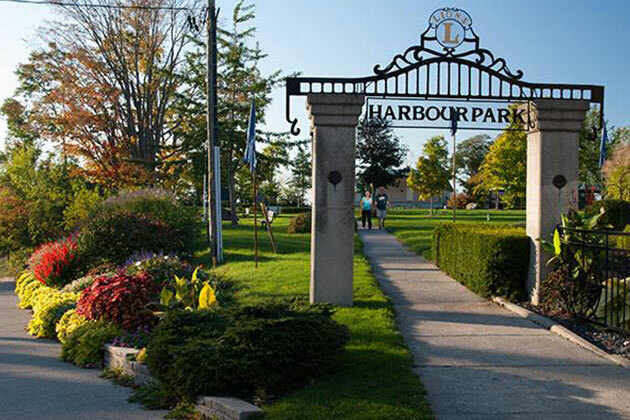 Lions Harbour Park maintains gorgeous flowerbeds and landscaping in "Canada's Prettiest Town". The park contains washrooms, a picnic pavilion, playground and a bandshell that hosts band concerts every Sunday evening at 7 pm during summer. The Celtic Roots Festival also runs at the park on the first weekend in August. The view overlooking the harbour is spectacular and visitors can see several storm stripped tree sculptures and a metal sculpture memorial to the Goderich tornado disaster. 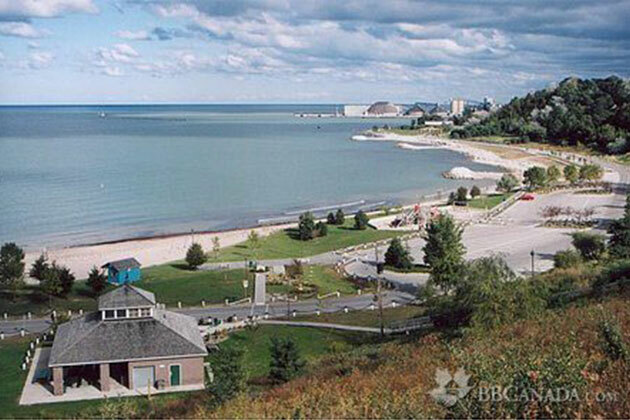 Goderich is situated high on the bluffs that provide panoramic views of the lake and harbour. The sunsets are spectacular from Lighthouse Park on Cobourg St. just off West St.; there stands Lake Huron’s oldest lighthouse built in 1847. One can actually see the sunset twice by watching from the base of the bluff and then quickly climbing to the top to see the sun sink into the lake again. The park has a nice picnic area. 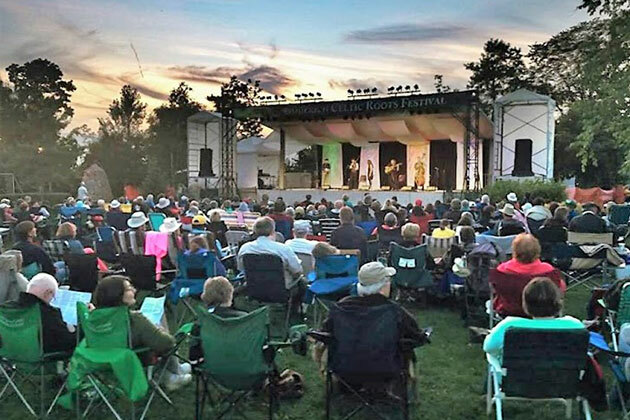 The Goderich Celtic Roots Festival presents the best of Celtic, roots, acoustic, and folk music in beautiful Lions Harbour Park on the shores of Lake Huron. Locally and internationally acclaimed musicians perform on 5 stages, some with rain cover or bleacher seating available. Craft artisan village, fresh local food court, free Children’s Activity areas, and more. Event runs rain or shine. "The bridge that love built" is said to have been built by an engineer who fell in love with one of the Ball daughters while he was working on the bridge at the mouth of the Maitland River. The engineer then built Ball's bridge in 1885 to allow his beloved to cross the river more easily and the two were consequently married. 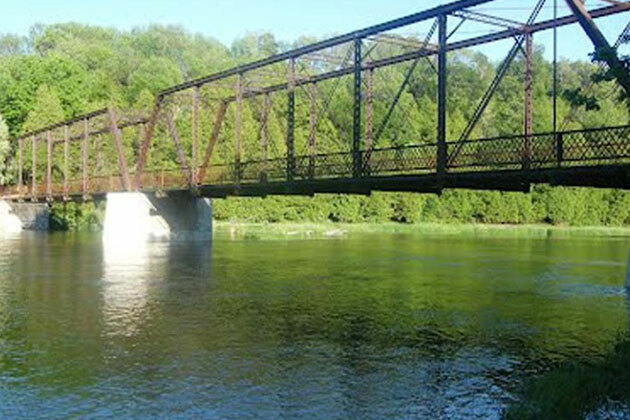 The double span, iron truss bridge is a rare example of early construction prowess in Ontario and it presides over a picnic area beside the tranquil Maitland River, which is also a canoe launch and a good fishing spot. The Little Lakes Road crosses the bridge to follow a scenic, winding route around some kettle lakes between Auburn and Benmiller. The town of Goderich boasts some of the finest recreational facilities, groups and organizations in the area. The Maitland Recreation centre is an active and vibrant part of Huron County. Over 70,000 square feet, the building includes a five-lane 25 meter lap pool, a children's leisure pool, an on-deck whirlpool and sauna, gymnasium, indoor track, an NHL size ice rink, a wellness area consisting of cardio and strength training equipment, and aerobic studio. Wheelchair accessible, the YMCA also offers child minding, professional fitness services and ample on-site parking. 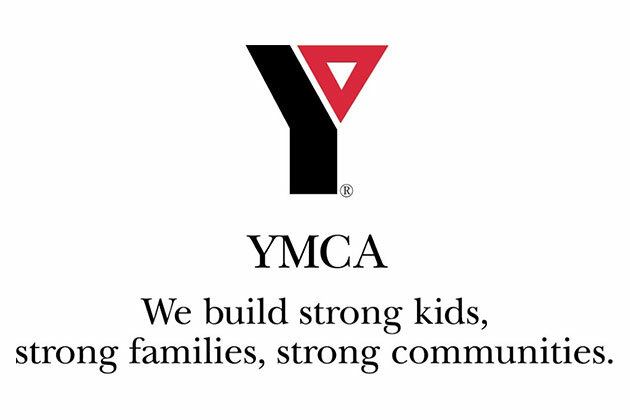 For details and programs offered by the Maitland Recreation Centre, check out the YMCA of Goderich-Huron website. 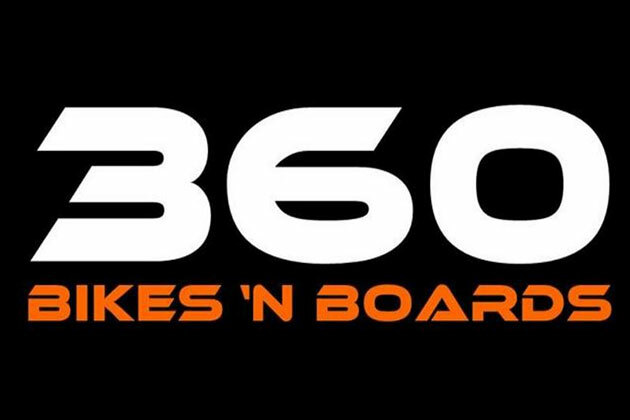 This local retail shop located at 146 Courthouse Square offers bike, wetsuit, and paddle board rentals. This is a great way to get active and take advantage of our local trails and beaches without the commitment of purchasing your own equipment. Goderich's natural location allows for there to be an abundance of hiking trails around the area. There are three local trails right in the Town of Goderich, and many more in Huron County. 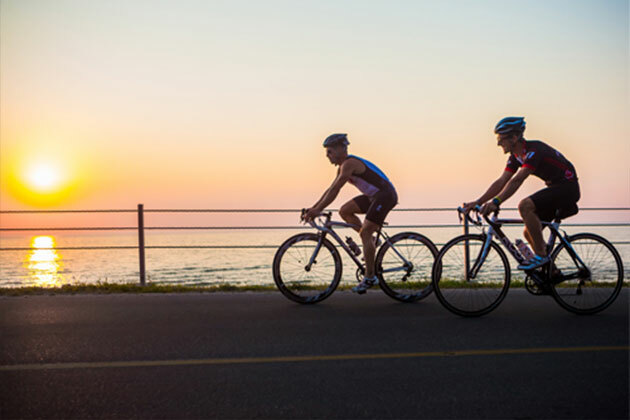 Being located in Huron County, Goderich has many great country roads surrounding the area that are perfect for scenic road cycling. 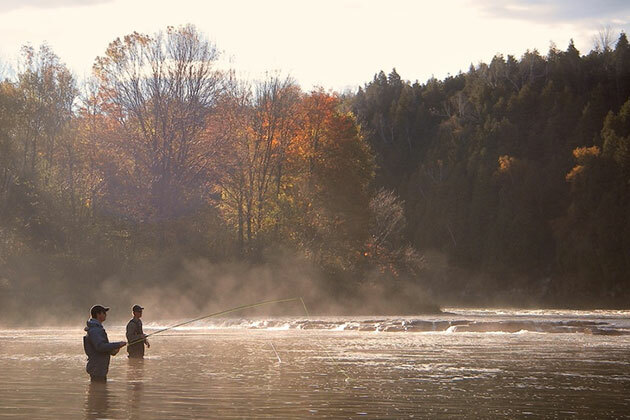 With a system of rivers running through Huron County, and Goderich being located at the mouth of the Maitland River, there are many great fishing and paddling opportunities in the area, both in town and out. 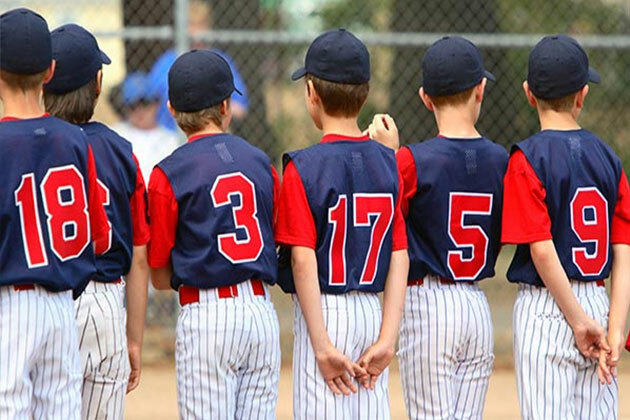 Goderich is also proud of the fact that we have many sports groups, leisure and recreational organizations that make us such a vibrant community. Please check out our list of groups, make the contact and get involved. You will be glad you did.